Emerging technologies already have a huge impact on both individuals and society, however, the full implications of artificial intelligence, biomedicine and financial technologies are still opaque. What ethical issues do these technologies raise for citizens, the corporate world and for our governments? What policy positions should be recommended to safeguard a responsible yet effective use of the technologies and their applications? How does technological progress revolutionise business? To ensure the best possible technological future it is crucial to keep encouraging profound and inclusive debates involving both thinkers and doers. 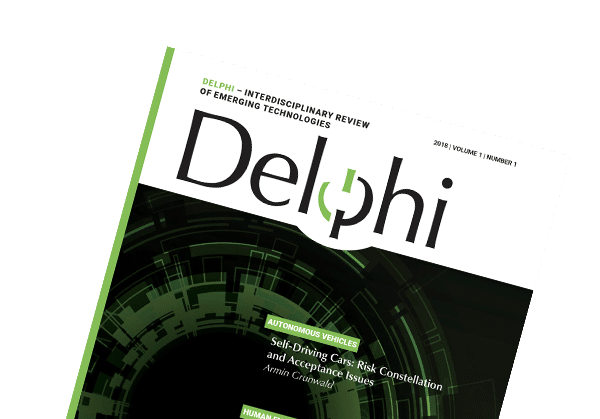 If you are interested in exploring these topics, subscribe to Delphi now.